We may live in a city, but Saskatoon residents are also forest dwellers. There are 120,000 trees in our parks and boulevards. Add in trees on private property, and you can easily double that figure. Trees fill our streets with bird song and shelter us from the hot summer sun. Spring blossoms and autumn colours are a visual delight. Trees also serve a number of practical purposes: storm water management, traffic calming, air purification, noise buffering, and energy conservation. 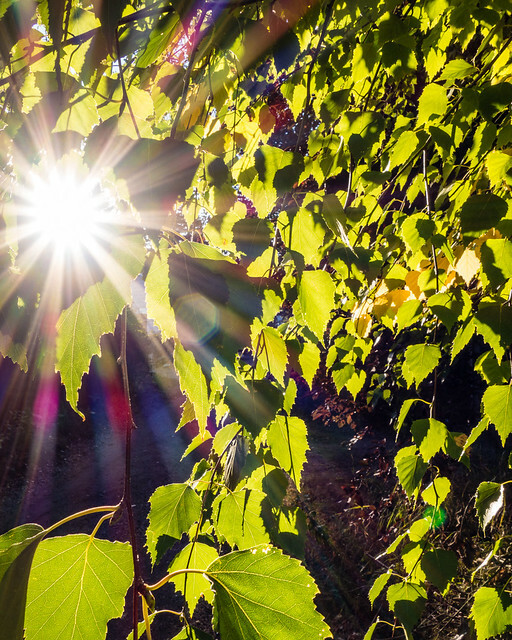 EcoFriendly Sask spoke with Jeff Boone, Acting Superintendent of Urban Forestry and Pest Management, and a great source of information about Saskatoon’s urban trees. There are approximately 30,000 elms in Saskatoon’s urban forest, most of which can be found in the city’s older neighbourhoods. In response to the threat of Dutch Elm Disease and to diversify the forest, the City started planting ash, for approximately 30-35% of the overall number. Linden make up a substantial portion of the remaining 30%. The American elm is native to eastern North America. ”The elm is a natural fit for the urban landscape,” Jeff says. 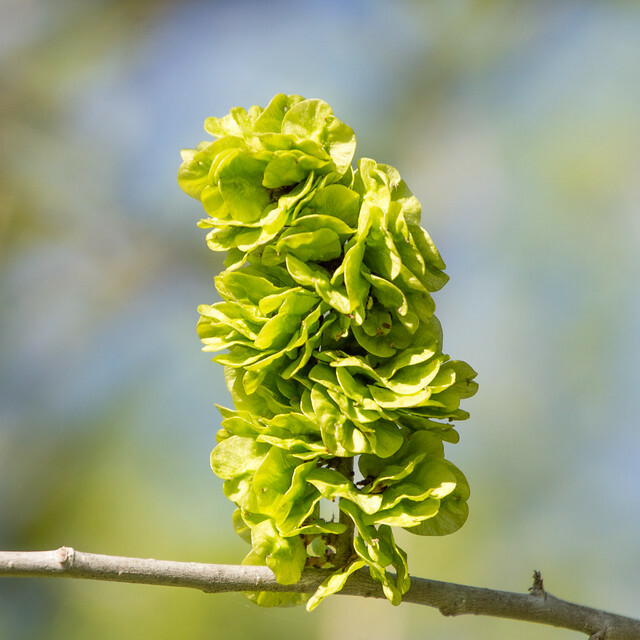 “It’s long-lasting, has the perfect shape, high strength, and it tolerates compaction, drought, salt, and root pruning.” The elm seeds can be problematic for gardeners, but you’ll want to run your fingers over the deeply furrowed bark and many birds make their home in the elm trees' branches. Several of Saskatoon’s elm trees are over 100 years old. Elm trees form a canopy over Spadina Crescent between the weir and the former Mendel Art Gallery and line the Next-of-Kin Memorial Avenue in Woodlawn Cemetery. Several varieties of ash are found around the city. Some have helicopter seeds while others are seedless. Green ash, one of the last to leaf out in the spring and one of the first to lose its leaves in the fall, is hardy and drought tolerant. White ash is particularly colourful in the fall. In Viking mythology, Yggdrasil, a mighty ash tree, connected heaven and earth. In British folklore, the tree is believed to have healing properties, particularly for children. 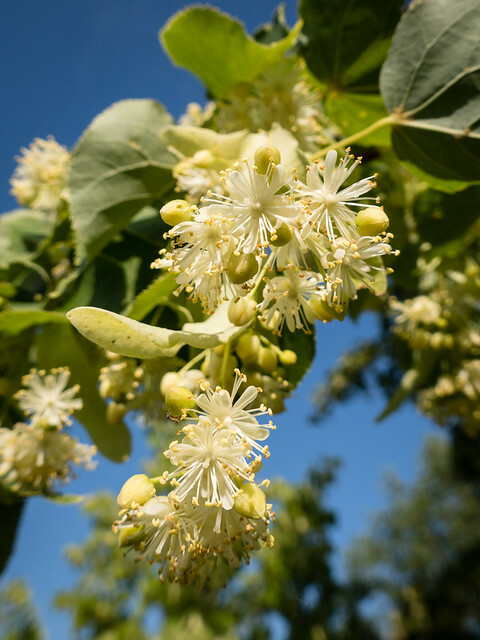 Linden has fragrant yellow blossoms in June and turns a bright yellow in autumn. The nectar from the flowers is an important source of food for bees and butterflies. Its pyramid shape is recognizable from a distance. Aboriginal people used linden bark to make rope, clothing, snowshoes, and fishing nets. 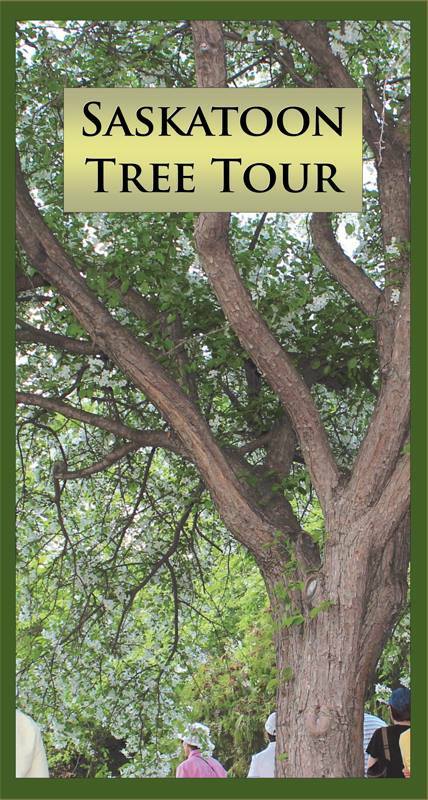 SOS Elms Coalition has published a Saskatoon Tree Tour guide listing some of Saskatoon’s most impressive trees. You’ll find unusual species, such as the amur corktree or the gingko biloba, as well as urban giants and some of Saskatoon’s oldest trees. The Patterson Garden Arboretum is home to over 700 trees, shrubs and woody vines, including some rare specimens, such as dragon spruce. 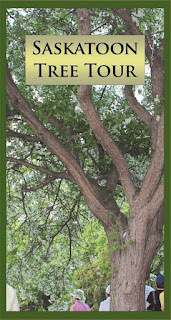 Copies of the Saskatoon Tree Tour guide are available throughout Saskatoon for a small donation. 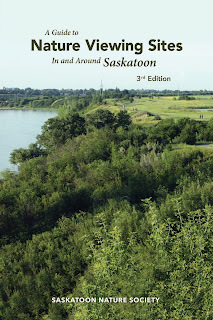 The Saskatoon Nature Society has recently published A Guide to Nature Viewing Sites In and Around Saskatoon. 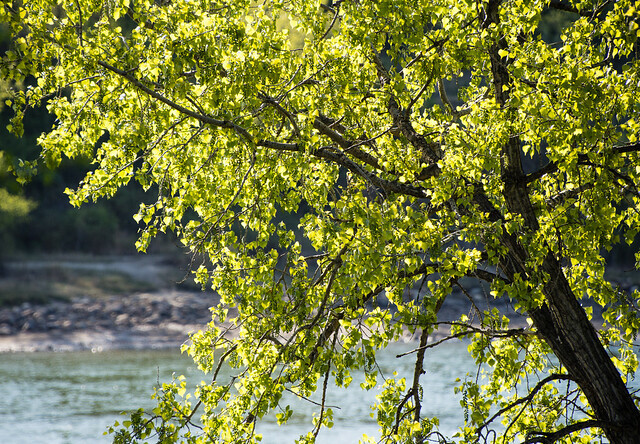 They’re quick to point out the 1,100 spruce trees in President Murray Park, the aspen forest in Heritage Park, and the cottonwoods lining the riverbank in Meewasin Park. 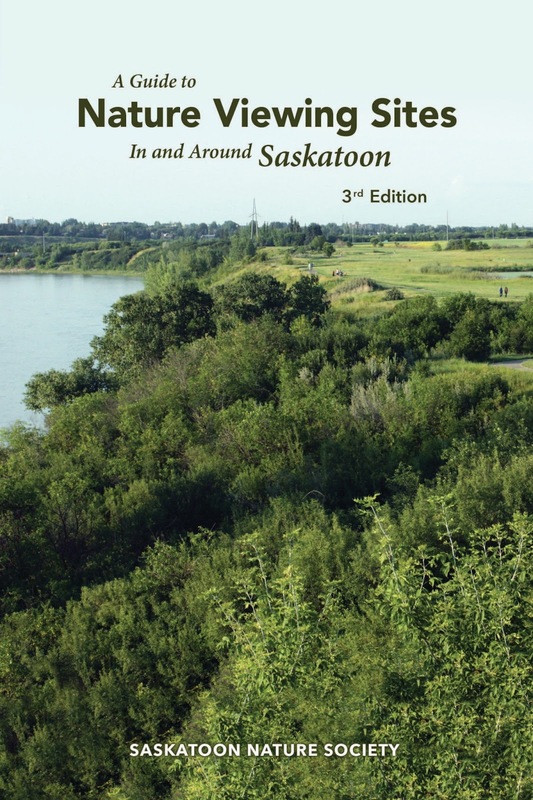 Copies of the Guide to Nature Viewing Sites In and Around Saskatoon are available from the Saskatoon Nature Society and McNally Robinson Booksellers. Trees have to cope with a number of insects and diseases, but tree maintenance can do much to prevent problems. “SOS Elms was instrumental in encouraging the City to adopt a one-in-seven-year pruning cycle,” Jeff says. “In other cities, it can be as low as one in 25. Pruning keeps trees clean. They’re healthier, more resistant to disease, less likely to attract insects.” The City is maintaining the one-in-seven schedule on streetscapes but is falling behind, due to cost, in parks. Some pests are relatively harmless causing only superficial damage. Others, such as Dutch Elm Disease, pose a more serious threat. Dutch Elm Disease (DED) was introduced to North America in 1928 and has spread rapidly. Saskatoon had its first incident of DED in 2015. The diseased tree was removed immediately, and the City is keeping a particularly close eye on the surrounding area. The transportation of infected firewood poses the greatest risk to Saskatoon’s elm trees as Saskatoon is outside the elm’s native range. The elm bark beetle, which is responsible for spreading the disease, is particularly attracted to fresh cuts, so the Province of Saskatchewan prohibits elm tree pruning from April 1 to August 31. Additional information to assist in identifying and controlling pests is available on the City of Saskatoon’s website. 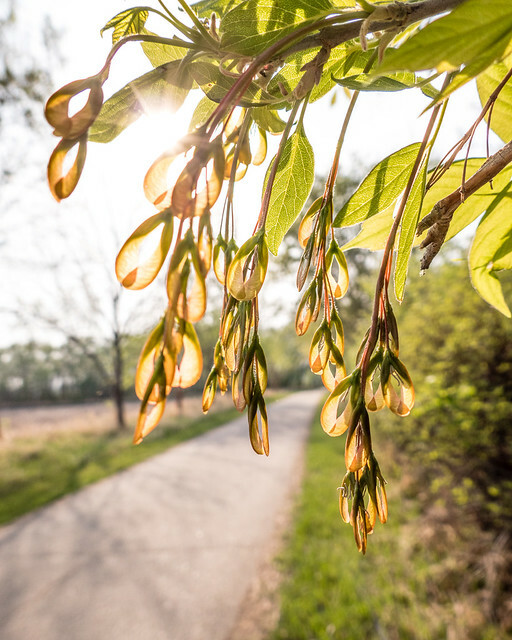 If you have an ash tree with curling and twisting leaves, contact the City (306-975-2890) as they’re concerned about a relatively new pest which recently reappeared.